When you have made the decision to embark on the journey of getting your very own website for your business you may start to feel overwhelmed with where do you actually begin in this entire Web Development process. Well unless you are a web developer yourself the first step is to seek out a web design agency and get a quote from them to develop a website that you have envisioned. Getting a web design quote is easy, what’s hard is wading through the plethora of quotes and finding the right web design agency who offers you a web design quote that is not only suitable for your budget but also that you can entrust to make your vision of the perfect website a reality. Will the Website be bespoke? This is a very important question to ask as this well ensure that you weed out any web design agencies who simply just use templates when developing websites. 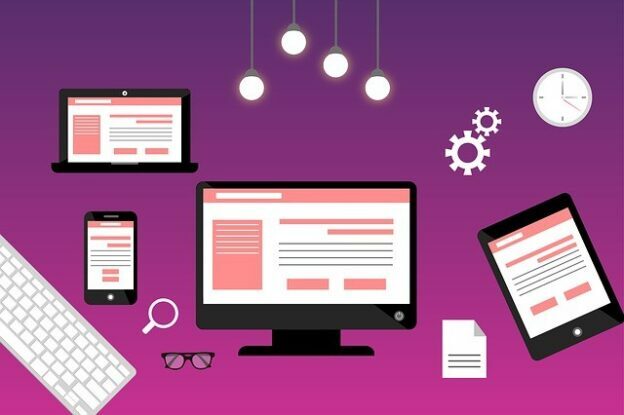 By ensuring that the web design agency you choose creates bespoke websites ensures that your website will have it’s very own unique web design and style which will make it stand out from the competition. What Platform will be used? It’s important to know what cms (Content Management System) your website will be developed on such as WordPress, Magento, Drupal etc… It’s important to know what platform your website will be designed and developed on because at the end of the project when you take control of the website you will need to be familiar with the CMS to actively be able to make changes and run the website yourself from a content management point of view. What projects has the company worked on before, portfolio? Does the company have a portfolio of their previous work? If so make sure to check out some of these websites. By looking at how they are designed and working you will get a good insight into what your website will end up being like when fully designed and developed. 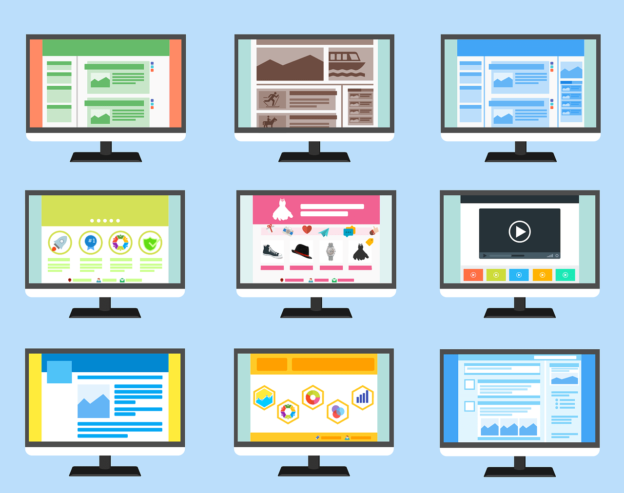 If your website is focusing on a certain industry such as beauty or pharmaceuticals make sure to check if the web design agency has past experience with creating websites for other businesses in the same industry as yours. Choosing a web design quote from a web design agency is a huge decision and one that shouldn’t be made lightly. By asking yourself the above questions you can minimise the risk that you make a bad choice. 2Cubed are an Award Winning Website Design company in Ireland with offices based in Wexford & Dublin. 2Cubed provide a range of online services for small and medium enterprises including Web Design, Web Development, and eCommerce Website Design. We offer well-designed and appointed websites for all levels of business. 2Cubed Web Design Wexford and Dublin also helps monitor and assist your progress post-launch, so that you’re given every chance of growing your website or application into a booming online business. Please click on the link below to get a web design quote. Please feel free to follow and interact with us on the following profiles. If your website does not have an SSL cert then you are severely limiting the chances of your website being successful. In August 2018 Google began to flag websites who had not gotten an SSL Certificate for their website. This means that Google will mark all websites that have not already migrated to HTTPS as being “not secure”. An SSL (Secure Sockets Layer) is the standard security technology for establishing an encrypted link between a web server and a browser. This link ensures that all data passed between the web server and browsers remain private and integral. If you don’t have the SSL certificate, a secure connection cannot be established, that means, your company information will not be digitally connected to a cryptographic key. When you wish to ensure that your website ranks consistently well on search engines you need to make it clear not only to Google but also potential new users that your website is safe to use and to browse on. By having an SSL Certificate your website will display as HTTPS and will not have the “Not Secure” message which will instill confidence in all users on the website that it is safe to browse and to use their credit card details to purchase any products/services that you may offer. Having HTTPS also instills confidence in Google who will reward you by pushing your website up the rankings higher than it would if your website was still HTTP. Switching to HTTPS is simply the logical move, not only does it give your site more security, but it will also improve your rankings. To get your site to switch to HTTPS you will need to have an SSL Certificate. To inquire about getting an SSL certificate for your site get in touch with us today! In the world of Web Design & Web Development the goal of User Experience (UX) is to ensure that all users who visit your website have a positive experience whilst browsing on it. To ensure they have a positive User Experience the Web Design of the website should be done in a way which means the user can easily interact with the website and all of its respective functions and that none of their time is wasted and they are not frustrated in any way. Basically at its core the goal of delivering a great User Experience is to get your website successful conversions and repeat traffic because the users who visited the website had a good experience. To ensure your website has a web design that will deliver a great user experience the web and graphic designers working on it need to put themselves in the mindframe of the target demographic of users who will be visiting the website. User Experience is so important as it is what bridges the gap between users and the website and when done well it will hold their attention and keep them on the website. Ensure that your website page speed is very fast and that the page load times are good so that users will not get frustrated/bored/leave the website. By having a website that has a Web Design that delivers a great user experience you will actively increase your chances of gaining followers to your website and making it a success. The best way to achieve this is to have consistent web design that is easy to navigate, easy to use with great functionality all developed always with the user in mind. If you would like to inquire about improving your website’s design and user experience please contact 2Cubed and get your business the traffic and success it deserves. You can call us on 01-9058114 or 051-440425, email hello@2cubed.ie or else get in touch using the live chat on our website! 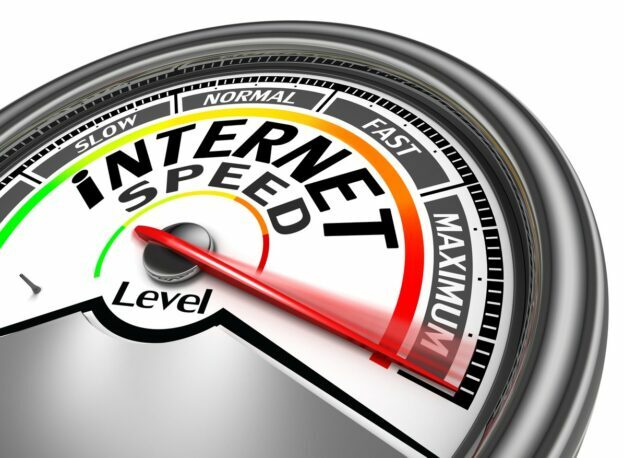 Website page speed is the measurement of exactly how fast the content on your page loads. This means how long it takes to fully display the content of your page. One of the best ways to evaluate your page speed is to use the free tool Google PageSpeed Insights. In one of our most recent posts we went into great depth on how important having good results on Google PageSpeed Insights really is. In that post we made the point that page speed is a very important factor for SEO as it is known that Google uses page speed as one of it’s many signals used by its algorithm when ranking pages. As well as being important to Google, page speed is very important to user experience also which plays a part in how your website ranks. Ensuring that your website has an SSL Cert not only shows that your website is safe to browse on and to purchase products/services safely with your credit card but it will also help with your SEO as Google looks favorably on websites who have an SSL Cert over those who have none. Where this affects page speed is when the http version of your website is cached and redirects to your https version. By ensuring that your website automatically redirects to the https version you can greatly enhance the page speed. Images tend to be a common issue that cause an unfavorable page speed. Images can cause issues unnecessarily as they can be a huge size and of too high of an image quality than required or needed. To rectify these two issues it’s recommended to take a look at all your images and to both compress and resize them as necessary. By resizing them to a more appropriate size and by compressing them to a more appropriate image quality you will reduce your page load time which will in turn improve your page speed. By implementing browser caching on your website you are telling visitors to your website exactly how long their browsers should retain information/memory of your website for. This means that a message would be sent to the users browser that images on the website should be cached (remembered) for three weeks so that when this specific user visits the website again within this three week period your website will load more quickly as the resources to remember the images are being pulled from their device instead of your website. This takes some of the workload away from your website and in turn this will improve your page speed also. 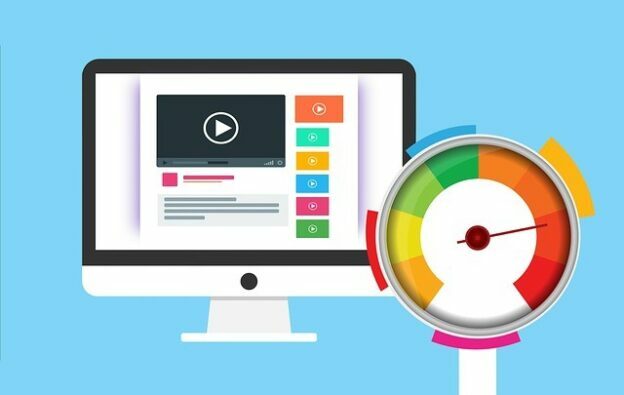 Improving your page speed is a never-ending goal and something that should be continuously worked on to improve it as much as possible as it is so important not only to SEO and User experience but the overall success of your website. If you would like to inquire about improving your website’s page speed please contact 2Cubed and get your business the traffic and success it deserves. You can call us on 01-9058114 or 051-440425, email hello@2cubed.ie or else get in touch using the live chat on our website! Ecommerce has grown dramatically in its importance and its ability to be the deciding factor between whether a business is a success or not. This was more clearer than ever from the findings in the 2019 PwC Irish Retail & Consumer Report which provides a vast array of interesting insights about consumers and the current state of the retail sector in 2019. One of the prevailing recurring themes of the report was the need for retail businesses in this day and age to not only have a website but an Ecommerce website where customers can purchase products online. Two key insights found in the report in relation to Ecommerce was that 20% of Irish consumers shop online weekly or more often via their mobile devices and also 30% of consumers purchased online weekly or more often in 2018, compared to 24% in 2017. 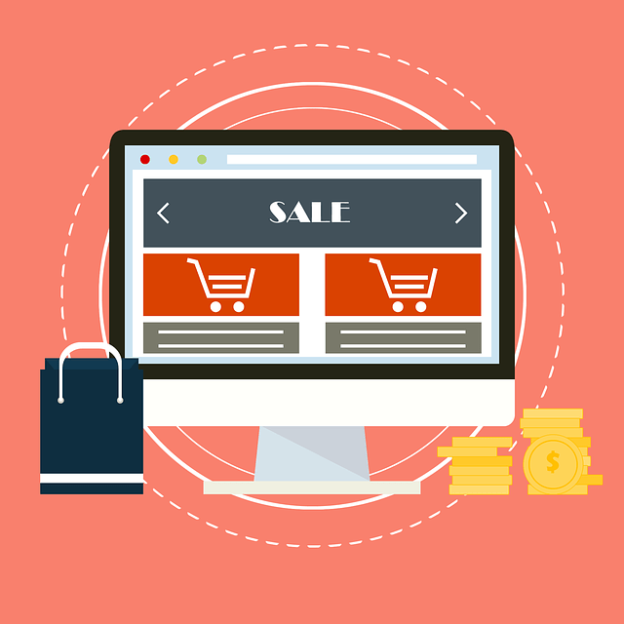 By having an Ecommerce website it is extremely convenient and easy for customers to browse your online store and purchase a product whenever they wish. By having an online store you remove the need for the customer to make the journey to your bricks and mortar location and purchase their product of choice. By giving them the convenience to do this at home they will be more at eased and relaxed. A happy customer is a buying customer. By bringing your retail business into the digital market you will open yourself up to a whole new market that can potentially have a global reach. When you are a bricks and mortar business your customers will be generally just those in the immediate area as it would be inconvenient for others from further afield to travel just to shop at your store. By restricting yourself to only the local populace you have not only greatly reduced your target market but also reduced your potential earnings. By having an Ecommerce website you remove this restriction and your market is virtually endless in its reach. By having an online store you are always open for business 24/7! This is a great advantage over a traditional shop which is open for a certain amount of hours and usually only on certain days also. When your store is online and always open for business people can purchase off you any day at any time. By giving them this convenient option you have endless opportunities to earn money as you are no longer restricted by traditional business hours. While there is and will always still be a place for traditional physical retail businesses it cannot be denied that those choosing to shop online are increasing and will continue to do so into the future. By not having an Ecommerce website you’re not only restricting your potential earnings but you are ignoring an ever growing and important part of the retail market. If you would like more information or would like to inquire about getting an Ecommerce website created and developed please contact 2Cubed and get your business the traffic and success it deserves. You can call us on 01-9058114 or 051-440425, email hello@2cubed.ie or else get in touch using the live chat on our website! Google PageSpeed Insights and why it’s so important! Google PageSpeed Insights is a free tool offered by Google which is designed to report and make an informed determination of the performance of a specific web pages performance on both Desktop and Mobile devices. Google PageSpeed Insights also provide suggestions on how that specific web page can be improved. The report that is provided by Google PageSpeed Insights provides you with information such as field data and lab data about your submitted web page. Lab data is a type of data that can be used to aid with debugging performance issues whereas field data’s main use is that it captures real-time user experience metrics which can be helpful. As mentioned previously since PageSpeed Insights are a free tool offered by Google anyone can simply search “Google PageSpeed Insights” and enter their website URL to get a live up to date results for their PageSpeed on Desktop and Mobile devices. Entering a URL and hitting “Analyze” will quickly get you a detailed report of what’s slowing that web page based on two parameters and this report will also come with recommendations on how to fix it. When you enter your url your website will be analyzed and within a few seconds you will receive a score for both desktop and mobile which will be a percentage out of 100. 0%-49% is considered slow, 50%-89% is average whereas 90%-100% is considered fast by industry standards. The reason these scores are important is because they play a factor alongside general SEO optimisation when it comes to google’s algorithm of ranking websites. Basically the better your Google PageSpeed Insights score is the more likely you will be to rank higher than others provided your general SEO optimisation is done efficiently as well of course. Google recently changed how PageSpeed Insights judge websites and since Google have made this change a lot of websites are finding that their once higher score has now fallen and they are struggling to get it back to it’s once former glory. When your website is analyzed by Google PageSpeed Insights as part of their analysis summary they will provide diagnostics and opportunities for improvement. By following these suggestions you can improve your overall score again. Google PageSpeed Insights true to their name provide a great insight in to the health and strength of your website by giving you accurate reports on it’s page speed. As it’s a free tool there is no excuse to not avail of it and use it’s useful information. To inquire about improving your score on Google PageSpeed Insights please contact 2Cubed and get your business the traffic and success it deserves. You can also call us on 01-9058114 or 051-440425, email hello@2cubed.ie or else get in touch using the live chat on our website! Content and SEO are two important elements of a website that when both done well can elevate a website to new levels of success. However when neither are done well or even just one done well then the website will without a doubt suffer. The reason for this and the reason that content and SEO accommodate each other so well is because strong content that is seen by google to have SEO value will rank more highly than others who are deemed not to be of such value so basically when your content has value to search engines the SEO work that you will have done on this page already will cause your page to rank highly on the SERP (Search Engine Results Page). So what is SEO value exactly you may find yourself asking? To explain what SEO value is one should first be clear on how Google as a search engine works. Google uses algorithms when people input a search to generate results which based on Google’s algorithms are what they believe to be the best and most relevant to the term/search query inputted by the user. The results that Google will display to the user are generated from content that is available throughout the web and content which is then ranked in order of its usefulness to the user’s search. So to ensure that your content is shown here in the relevant results you need to ensure it has SEO value and to ensure that it does have SEO value your content simply put needs to be beneficial to searchers, it needs to provide answers or at least information that will aid the user. Does my content provide useful information? Is my content easy and engaging to read and interact with? Does my content have a professional and credible tone? Is my content more beneficial than competitor’s content? If you can honestly answer yes to these questions then your content has the correct elements in place that are required to achieve the true potential of the SEO value of your content. If your answer to these questions is no then it’s time to go back to the drawing board and rewrite your content to achieve some true SEO value. Please contact 2Cubed and get your business the traffic and success it deserves. You can call us on 01-9058114 or 051-440425, email hello@2cubed.ie or else get in touch using the live chat on our website! Website Design is one of the most important components of a website alongside functionality. The design and look of your website can be the deciding factor on whether your website is a success or not. This is of course because the design of your website provides the first impression to users. If the impression is good users may proceed and navigate further throughout your website whereas if the impression is bad they may bounce straightaway from your website which will be a potential conversion lost forever. It’s no secret that websites which deliver a great user experience tend to always have a far superior conversion rate than those who don’t. While creating a brilliant website design can seem costly you need to view it as an investment in the future of the success of your website and that by not investing in a great web design now the cost may be far greater than anything monetary. 2Cubed Web Design Wexford & Dublin design and develop websites across all industries and sectors, including eCommerce websites, multilingual websites, as well as projects which include custom functionality and specific database and software integration. 2Cubed Web Design Wexford & Dublin specialises in Website Development, Web Design, App Development, eCommerce Website Design, Website Marketing and Content Management (CMS). We can work with a variety of Content Management Systems (CMS) such as WordPress and Magento, and can give your existing website a re-design making it responsive and moving it into the 21st century. Our creative web designers are ready to design, code & market your project. We provide websites nationally designed by our highly skilled web design team. In this post on Shopify we will be placing a special focus in particular on Shopify Design and designing your website with a Shopify theme. Shopify’s theme store contains hundreds of professional website designs to choose from when picking a theme for your new website. Many of Shopify’s themes have actually been previously designed by world renowned professional graphic designers. Choosing a Shopify web design theme means you can get a great visually beautiful web design without paying the higher price that a custom made bespoke web design would cost you. 2Cubed have experts who are experienced with working with Shopify’s web designs and themes and incorporating them into the end product of a great website design. As Shopify is such a designer friendly platform it allows our expert graphic designer the ability to have full uninhibited control over the complete visual look and feel of your website, this means that our graphic designer will be able to perfectly bring your vision to life as they have the freedom to do so thanks to Shopify. To find out more about getting your website designed through using a Shopify theme web design please Contact 2Cubed today! In the aggressive and competitive online market of today, Effective SEO has often proven to be the deciding factor for whether a website becomes successful or not. With so much knowledge nowadays about SEO virtually all websites are employing it in one shape or another as gaining high ranking positions on the SERP (Search Engine Results Page) has become more competitive than ever before. 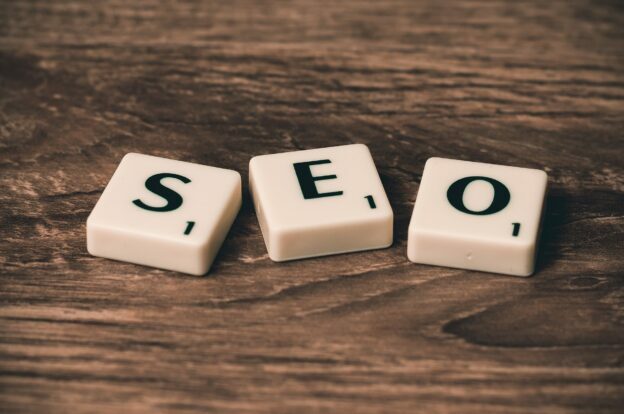 However this being said not all SEO was created equal as many are not utilising it to its full potential either through laziness or simple ignorance of what is required from them to employ effective SEO optimisation throughout their respective websites. So how can someone who is doing SEO for their website know if they are doing it correctly or not you may ask? As for so many cases the proof is in the pudding! A great way to figure out if your SEO work has been effective or ineffective is to gauge it off metrics which can often be found through channels and tools such as google analytics, Moz etc. Keyword Ranking is something you should always be tracking regularly. Keyword rankings let you know how your website is performing on the SERP on google and if its appearing high for key search phrases related to your business. By improving these rankings you will have an increased flow of traffic to your website which will increase your chances of getting more conversions on your website. There is no particular trick to ranking high for keywords as google’s algorithm is ever-evolving and as such this means that there is no exact way to predict how well your website will perform in the rankings. It is a case of constantly checking and amending your strategy as needed. By improving your ranking position on the SERP, as such you will be viewed more and have more traffic to your website. By improving meta titles and meta descriptions users will now be more likely to click and interact with your content thus increasing your organic traffic. Creating more content means that not only will your website have fresh content being applied to it which shows it’s an active and very alive website but also having new content gives you the opportunity to target new keywords and opportunities to earn visibility. What’s considered a “healthy” Online Conversion Rate tends to vary wildly depending on the industry. Conversions should always be a measurable event that can be tied to revenue. The actual conversion rate itself is comprised of the percentage of website visitors that complete a conversion. Generally speaking a conversion rate of 1.5%-3% is considered quite good. Effective SEO will help to drive traffic to your website and from there your website should be optimized to be able to convert these visitors into leads and conversions. Effective SEO is half the battle, having an optimized responsive website is the second part. If you can do both of these things effectively you should be able to see the results in your improved conversion rate. Bounce Rate is the percentage of traffic that leaves your website quickly after landing on it without looking at any other pages before they leave. Bounce Rate can be a useful barometer in which to gauge how effective or not your SEO is as bounce rate can indicate how accurate the page is targeted towards visitors who are interested in that type of content or indeed in your business and if a page has a high bounce rate it can usually be a signal that something is inherently wrong with that web page whether it’s the content or the design of the page that seems to be frustrating customers so much that they bounce. Some pages can actually be expected to have high bounce rates such as pages which act more as a general reference for information such as a calendar or blog post for example. Of course bounce rates for key pages such as a homepage or services page should be lower. A bounce rate of 35%-60% is considered the industry standard average. If your page has a high bounce rate and it’s a key page for you then it’s time for you to reevaluate the SEO on that page and possibly the design also to ensure you are delivering the best user experience possible. By using these four metrics to measure your SEO success you will have a good idea of just how effective your SEO efforts have been and whether they have borne fruit or not. The information gleaned from these metrics will help you to alter your SEO strategy accordingly to meet your goals. SEO is a constant battle, by doing well in these four metrics you will definitely be in a position to win the fight! 2Cubed work with clients on a monthly basis, content writing/management and marketing are two of the many services we offer. 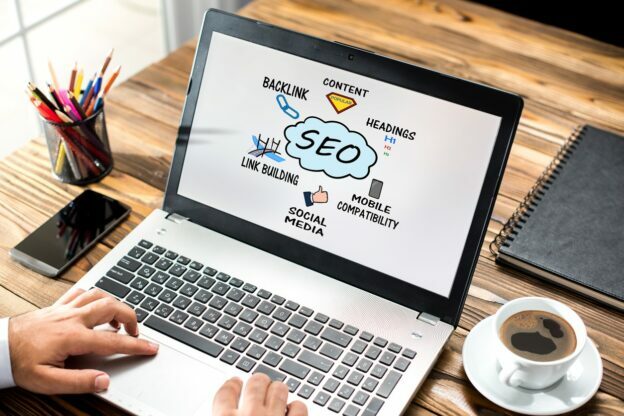 To improve SEO ranking through effective marketing and have produced excellent results for many businesses, we help clients to get them to number one for their specific keywords. To help provide the best SEO service, 2Cubed also has an in-house web content writer who will work with you to customize and optimize your content, making it fit your brand identity and corporate voice, as well as maximizing impact on search engines. 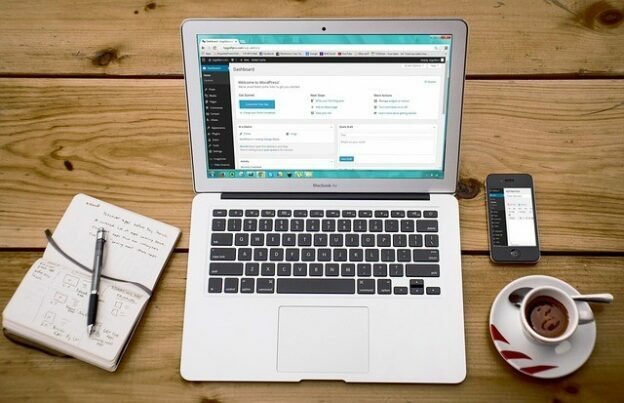 We will ensure that your content is unique and tailored for search engines so that your website has the best possible chance of reaching and expanding your audience. We provide reports and strategic plans assessing search result performance, working diligently to improve your company’s search engine optimization so that it continues to climb Google rankings on a regular basis. To find out the right move and strategy to take when it comes to effective SEO please contact 2Cubed today!